Hands free design achieved by waist control belt. 2 D-rings can let you take bowls and waste bag dispenser together in running. Double handles offers increased control for you. Choose us and make running easier! Pets who run with you the first time are unpredictable animals. Under the help of leash you can direct your pet whenever you want. If your pet are too exciting, you can control him immediately. That's why we recommend you to use a leash to run with your pet. If your pet has been trained before, running with leash is easy for him, you just need to let him feel comfortable with the leash you choose. 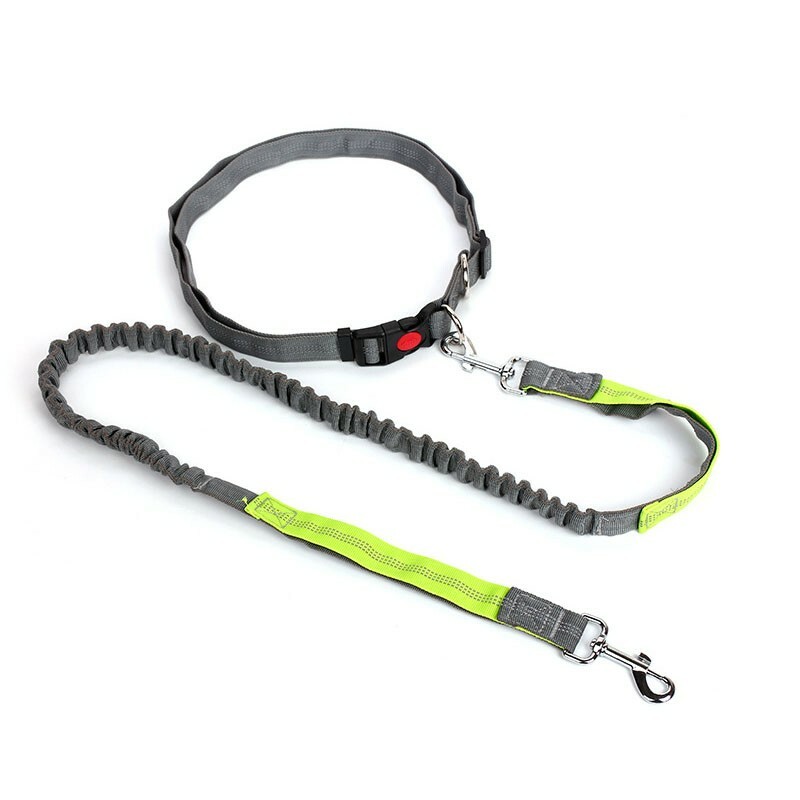 If your pet hasn't been trained with leash before, you need to let him get used to wearing a leash first. You can wear him a leash at home for several minutes and then increase the time. He will get used to the leash soon, and then you need to start outdoor walking with your furry friends first. And then running with your pet.